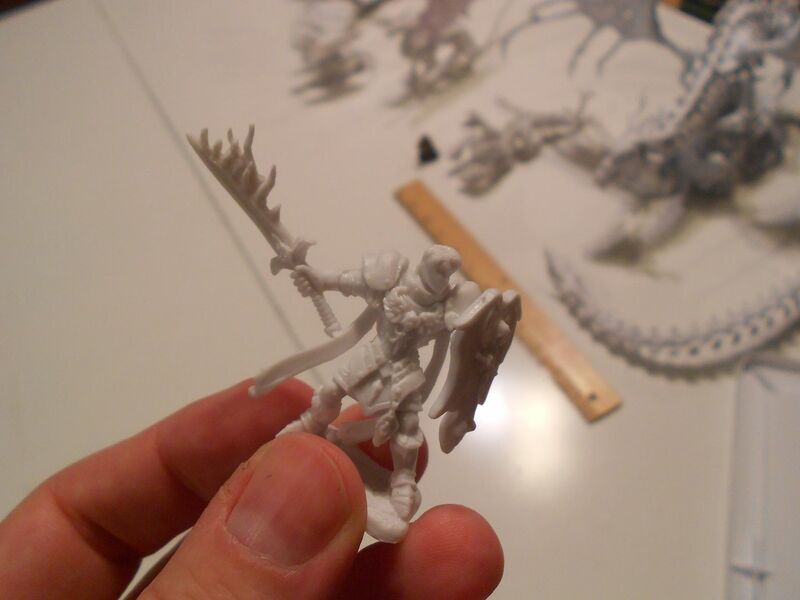 Sons of Taurus: WIP Eldar and BONES BONES BONES! 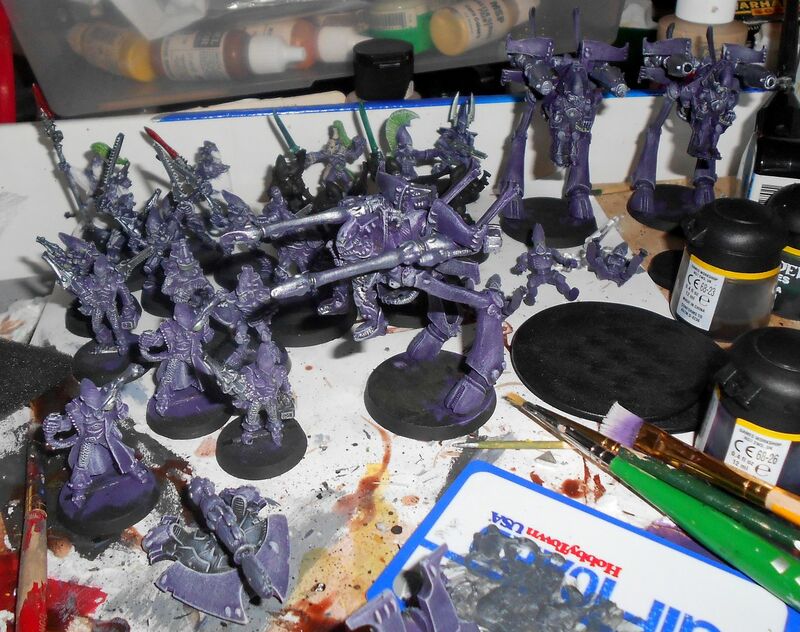 Some more work done on the Void Phantoms. My main stumbling block at this point is not wanting to assemble guardians. 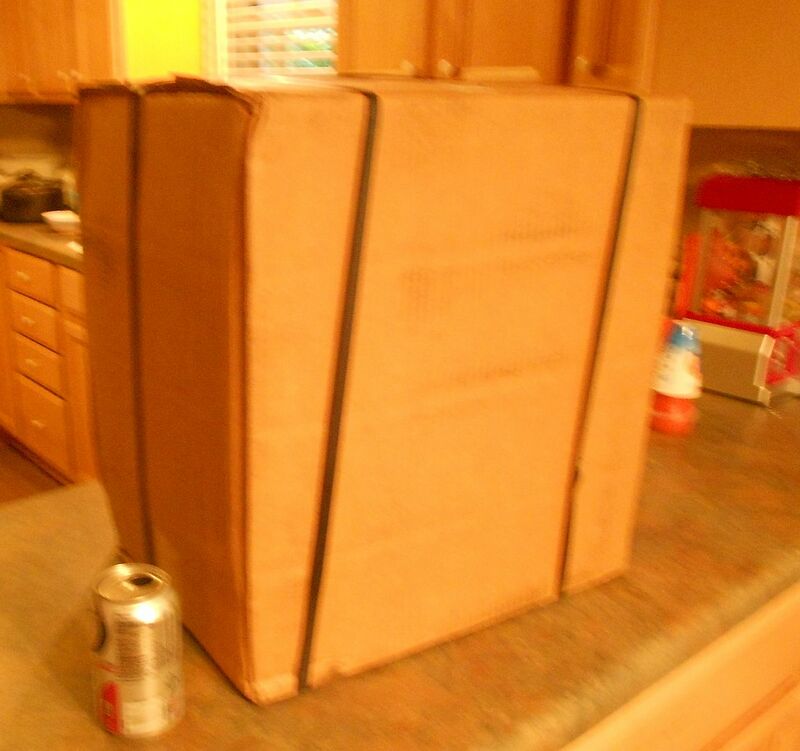 The box, with soda can for scale. Boxes in boxes! For the larger pieces, I imagine these are the types of boxes that we will see in stores. Kaladrax. That's a long tail! Pile of dragons, demons and other big gribblies. I presume in stores they'll end up in some other kind of packaging. Figure cases. 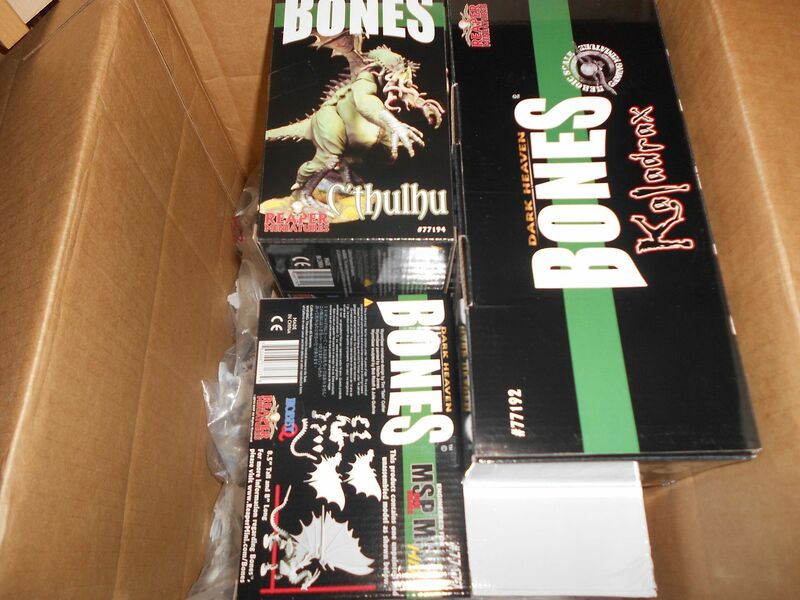 Right now using these to put some of the painted metal RPG figures in so I can throw the Bones out on the shelves. Some of the bigger guys, with ruler and Imperial Guardsman for scale. 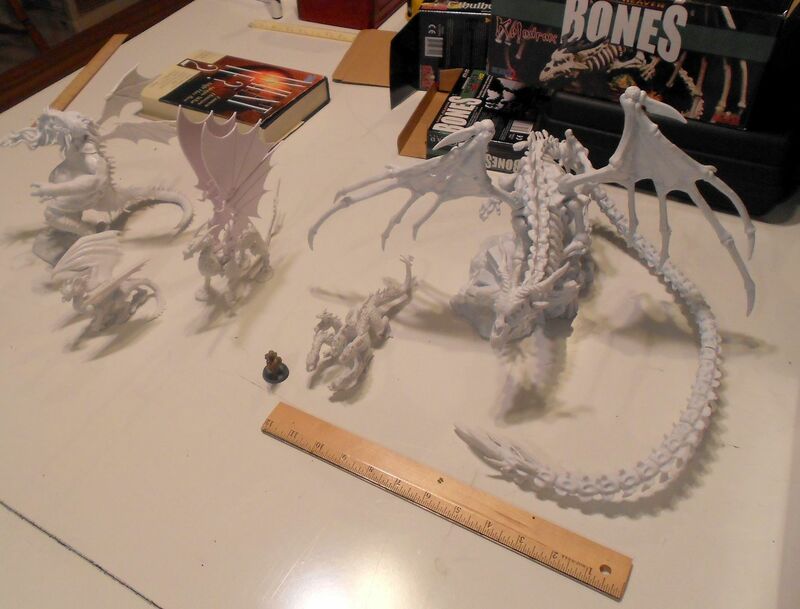 The skeleton dragon is frikkin huge. 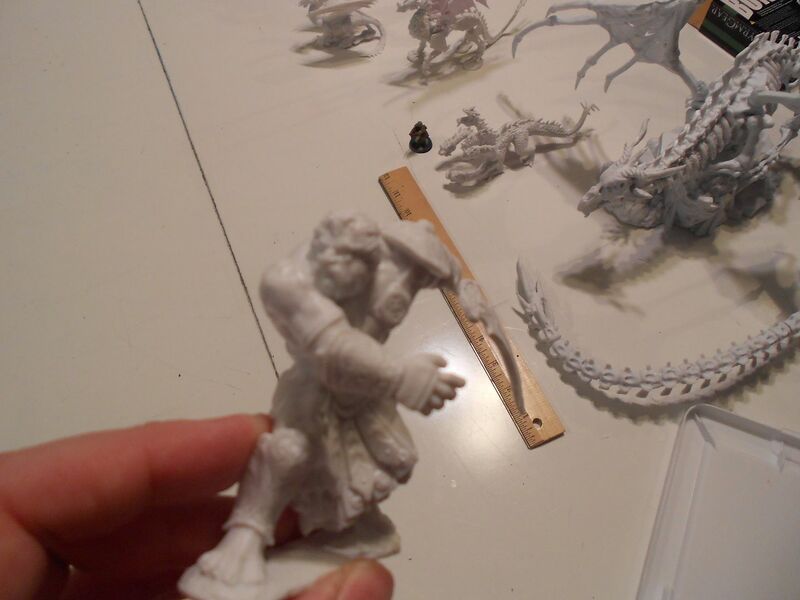 The bigger models are multi-piece, and are pretty well designed to fit together well. Once I figured out what went where on Kaladrax he was pretty easy to assemble. Right now all these are just put in place; no glue used. They fall apart a bit if you handle them, so glue is probably on the agenda. Here's a giant. 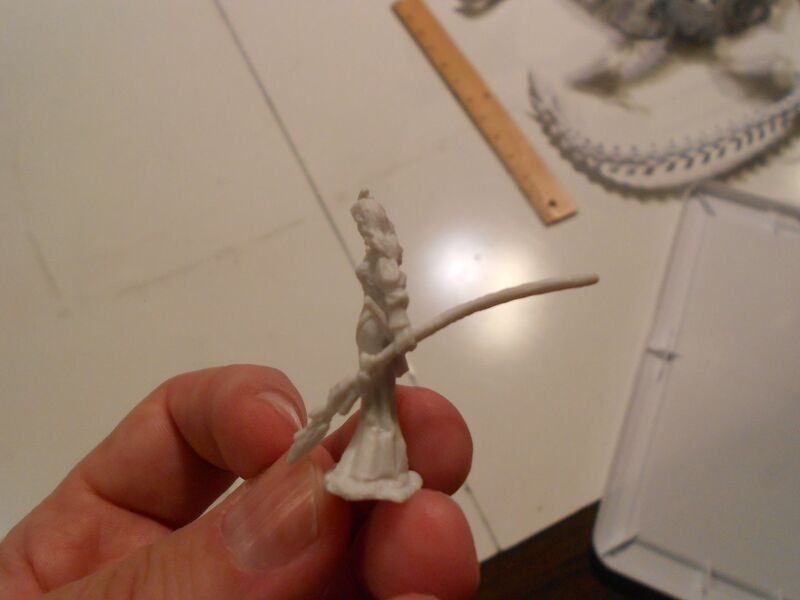 The material is great for pieces that have some thickness to them, but there can be a lot of bending to thinner, flimsier parts, like this guy's sword. A hair dryer or some hot water and we'll see if it can be straightened out, or if it's going to keep bending. Some models with lots of thin bits might be better off in metal, but for big fellas the massive price difference is probably worth any hassles. A couple of dragons, etc. are leaning away from their bases and won't stand, etc. 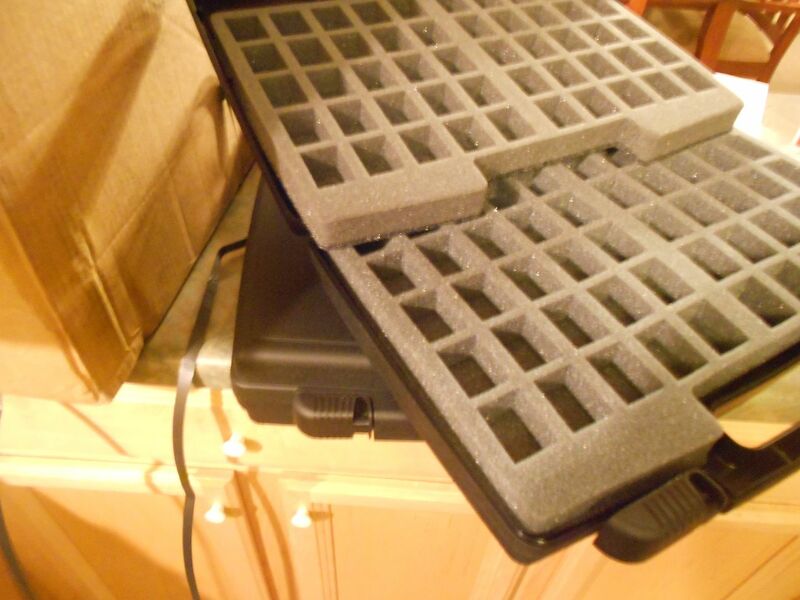 Again, with heating and repositioning should be able to make them work I think. Another example, with bendy sword. Bendy, but certainly not brittle! This staff is disappointing. We'll see if it can be saved, but it's so flimsy and droopy I have doubts. Again, this sort of fig you may want in metal. Cthulhu. This guy and Kaladrax were certainly great Kickstarter bonuses for the price, $10 each! 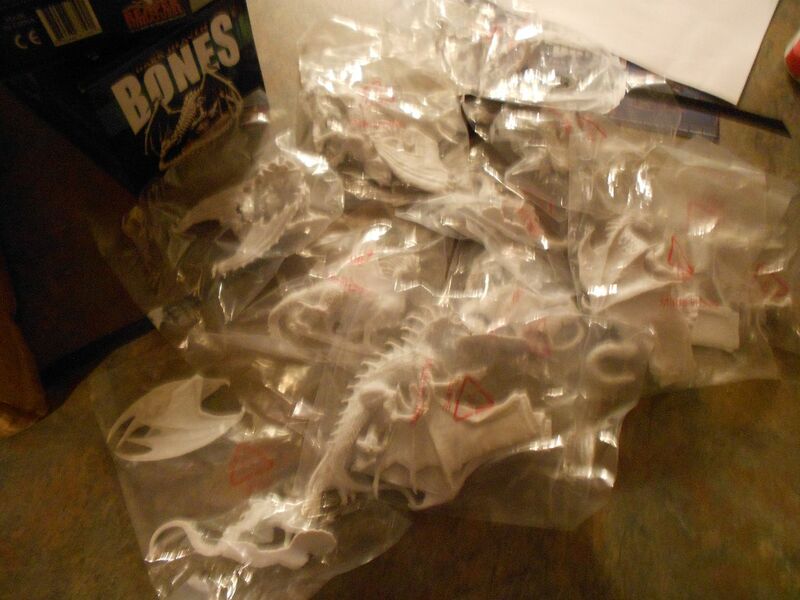 I'm really pleased being able to get a bunch of the dragons in Bones too; $10 for one or $15 for two in some cases vs. $70 each in metal is awesome for figs like Deathsleet. 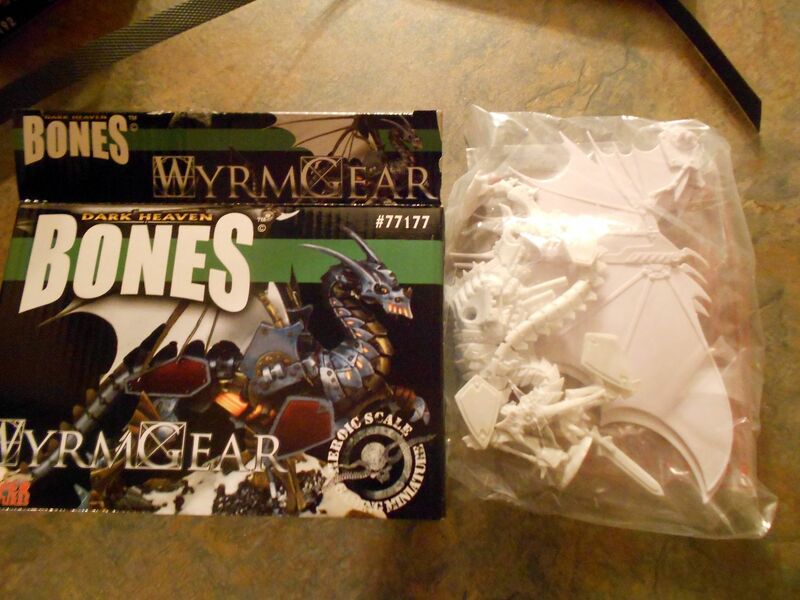 On the big figs the wings are separate, so if looking for some extra wings for conversions, these might be a source. 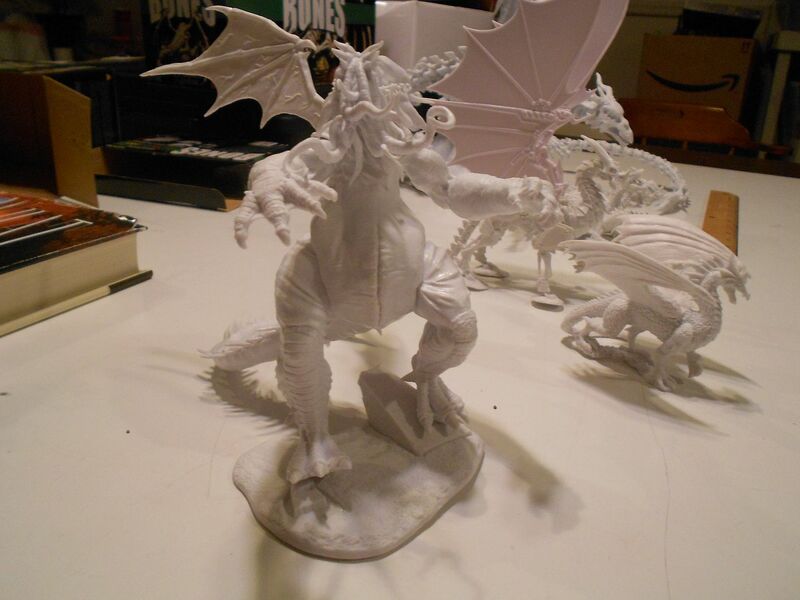 This is how Cthulhu is supposed to stand on his base. But this is how he stands naturally at the moment. Would fall over if it wasn't for the tail. I'll have to try to reposition one or both legs to get him to the right pose. 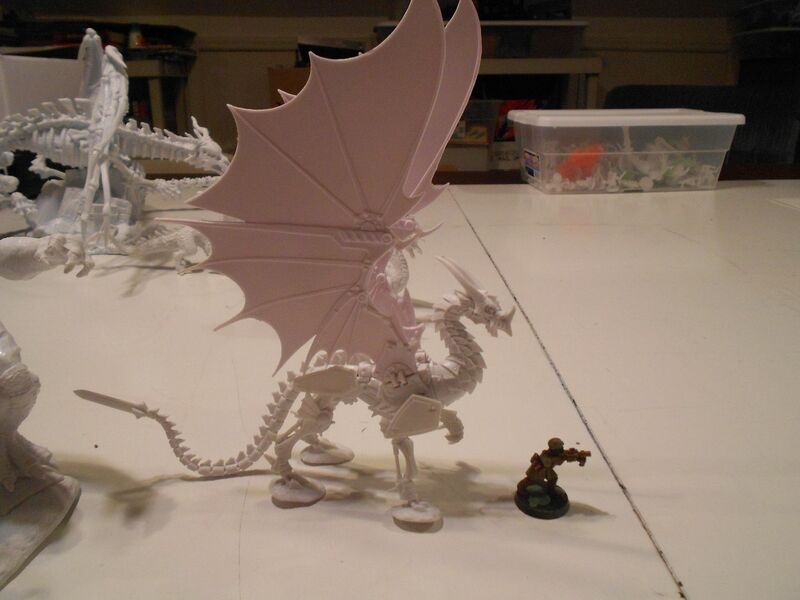 Clockwork dragon, with Kaladrax in background, and tub of smaller figures. 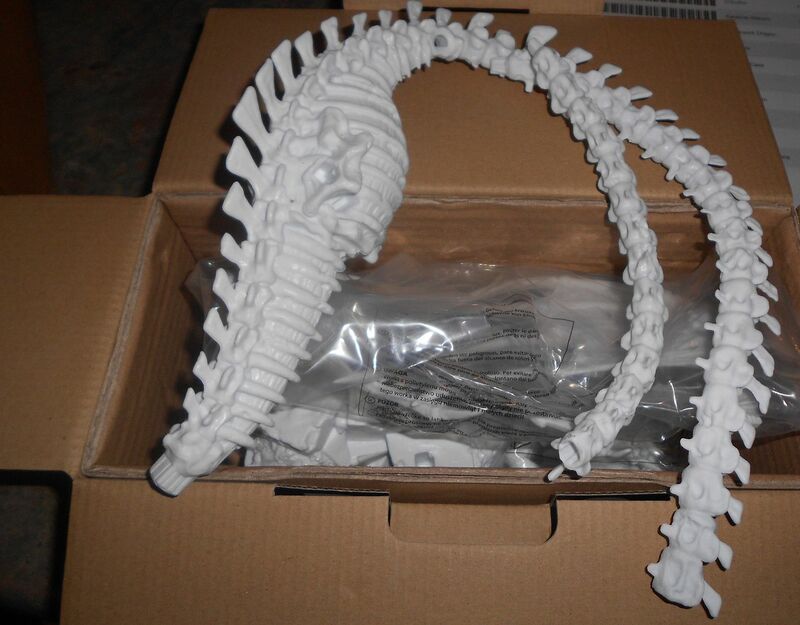 Overall I'm pretty happy with Bones as a material. It's sturdy, light, holds detail well especially at the bigger scales, no flash I could see, assembles easily (giant figures without pinning! ), cheap. 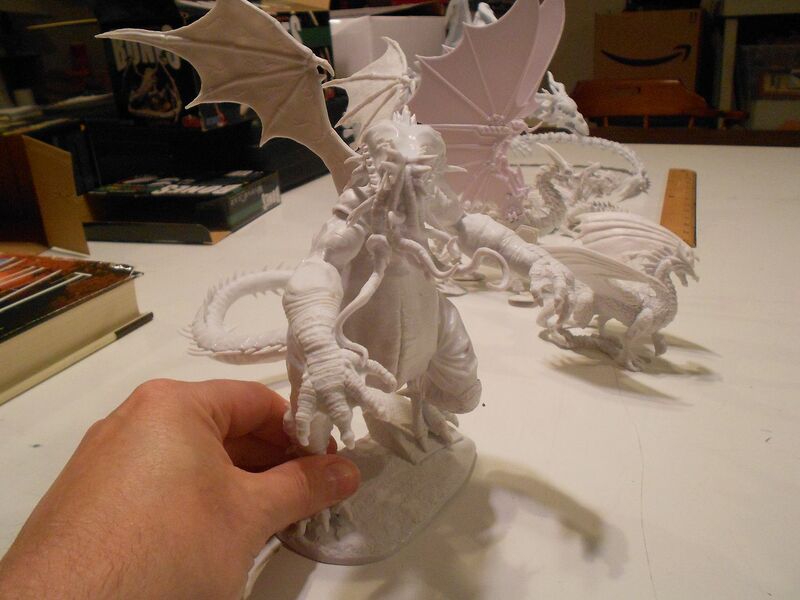 This is the sort of thing I'd like to see GW go to for things like Greater Daemons. End result, 9/10 for Bones. For big critters and guys you want a lot of it's hard to beat. 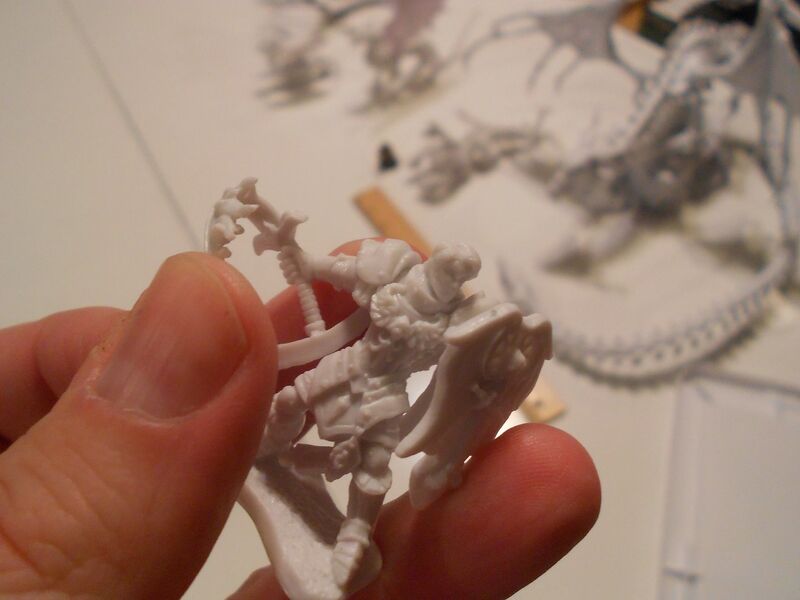 For some individual figures like player characters with some fiddly bits, may want to invest in the metal instead.